So I have officially declared this the Summer of Skorts. There’s such freedom to wearing skorts. My 26 year old daughter just recently informed me that you can’t be her age and wear skorts. I said “why not? I love skorts”. She replied “That is because it is acceptable for little girls and older girls, but not middle girls”. Well, harummff. That’s what I say to that. There’s such freedom in wearing a skort. Of course, I am not exactly going to go to the playground and hang upside down…but you could if you were wearing a skort. So, first off. What is a skort? A skort is a skirt with shorts under it, that are attached in some manner to the skirt. Want to hear how I made this one? Okay. Here goes. 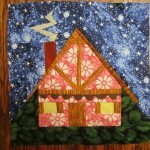 First, we have this pattern at the Bungalow. 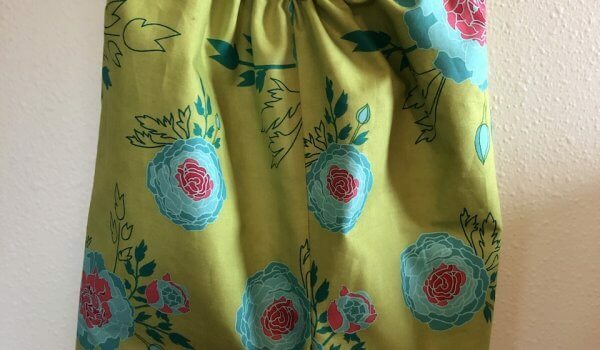 It is a darling skirt pattern for little girls. It’s perfectly twirly too. This is how it looks. Come in and get it! 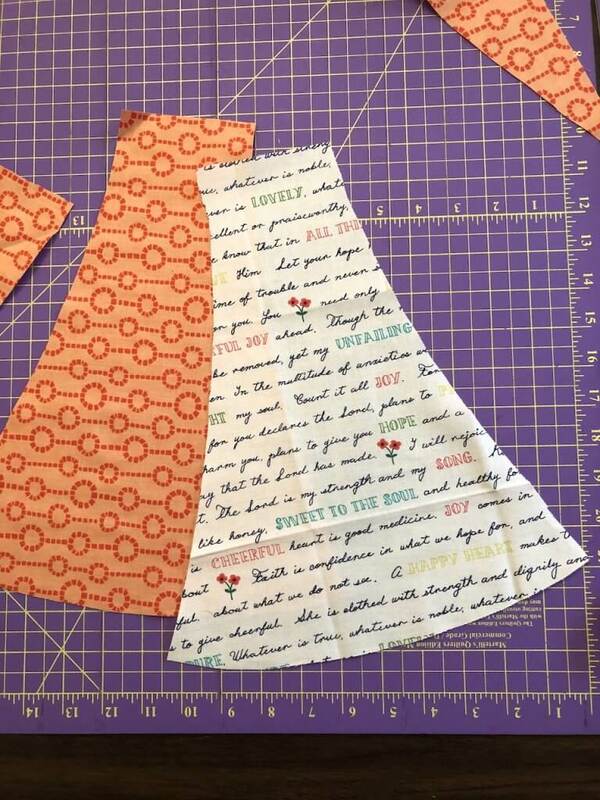 This is the basic shape of the skirt. There are explicit directions for how many of these panels you will need. 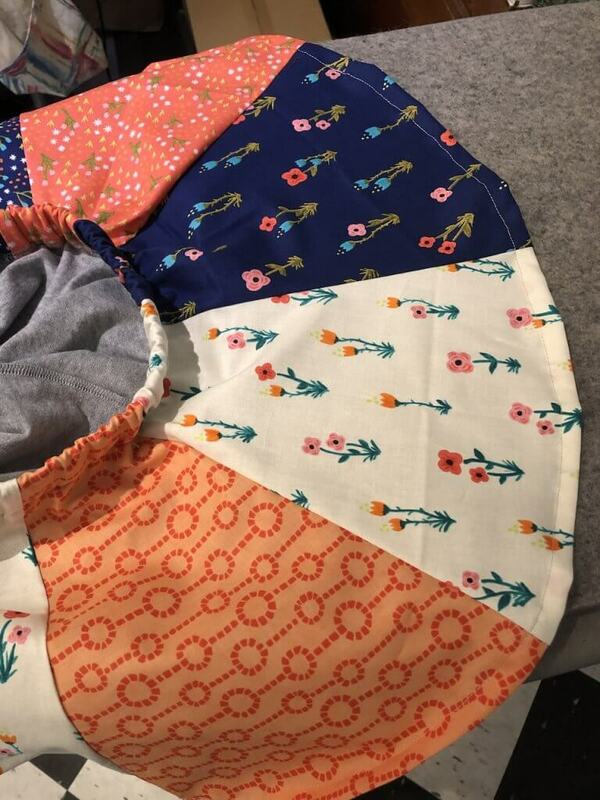 Since I was making this for my 3 year old grand daughter (not the daughter of the 26 year old–she has no children) who is exceedingly little for her age, I had to telescope the pattern. By that I mean that I shortened it, but not on either end. 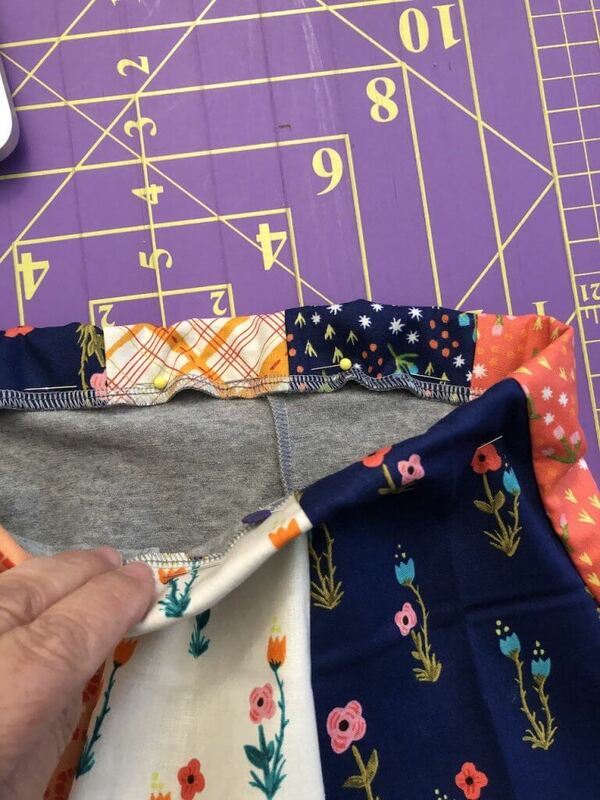 When you shorten a sewing pattern that has a particular shape, you have to shorten it in the center so that the shape isn’t lost. 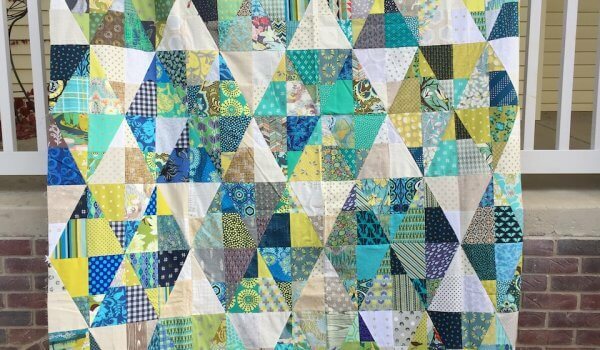 So I cut it all out of fat quarters. Isn’t that the greatest? 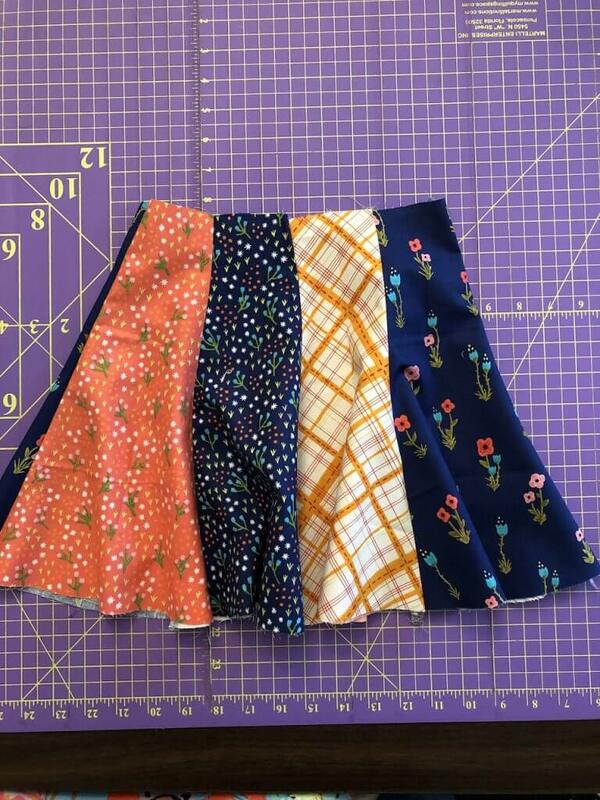 This skirt pattern can be made using a variety of fat quarters. 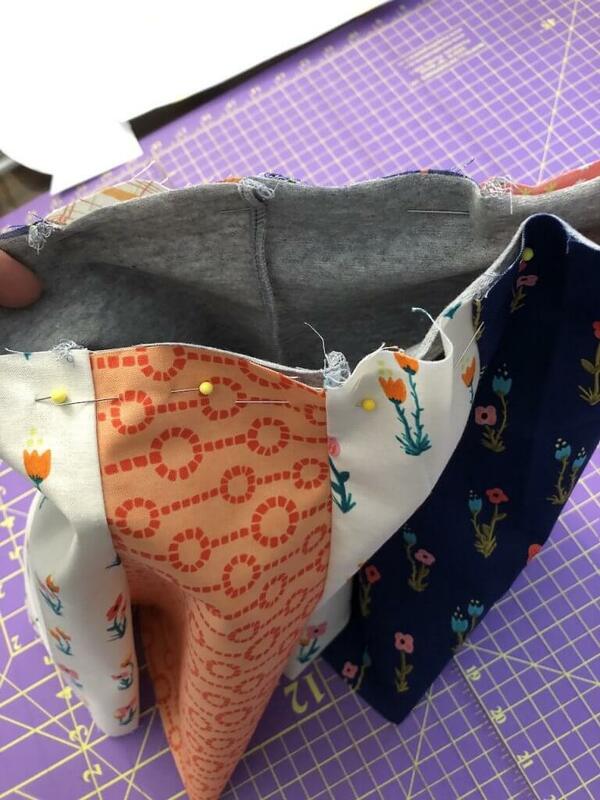 The panels are perfect for fat quarters. This one used 8 fat quarters. Here’s the skirt with all the panels sewn together. These leggings were so easy and cute. So once I made the shorts, (leggings), I put them inside of the skirt, right side of shorts to wrong side of skirt. I serged around the top of both. Place the leggings inside the skirt with the right side of the legging shorts to the wrong side of the skirt. 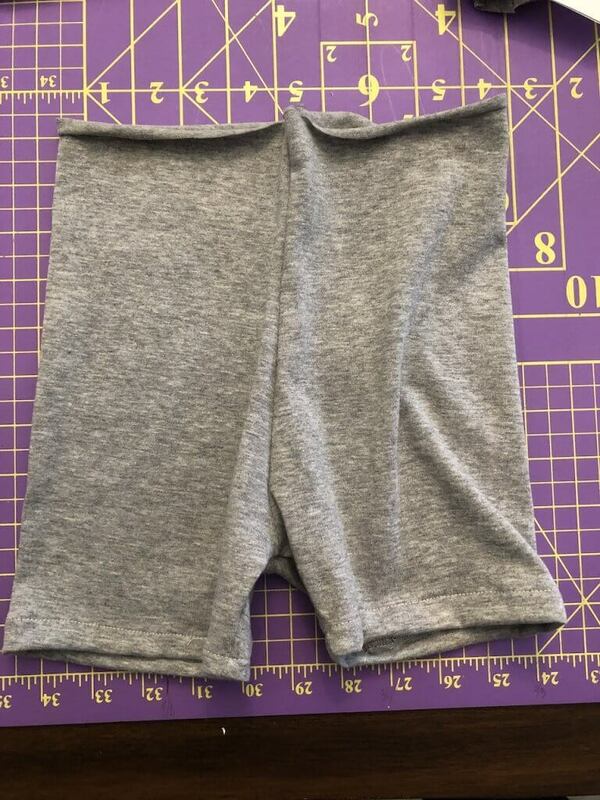 The short leggings were made from a knit. This is important. If it’s a knit, it’s easier to stretch them to match the size of the skirt. This skirt is straight on top and the flare doesn’t start until further down. This is the only way that this is going to work. 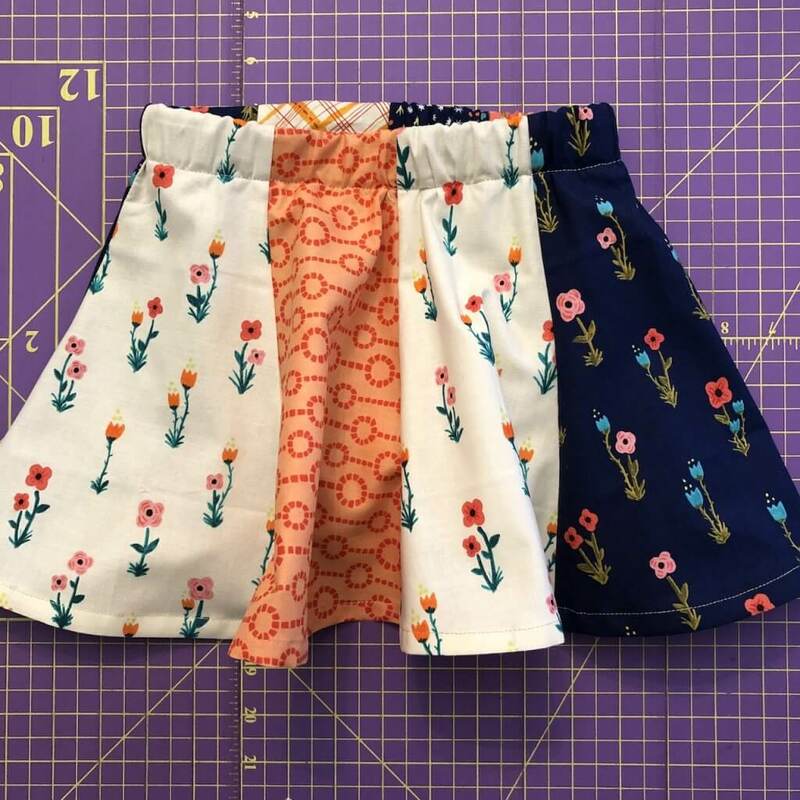 If the flare starts immediately, the shorts won’t fit well inside the skirt. At all. 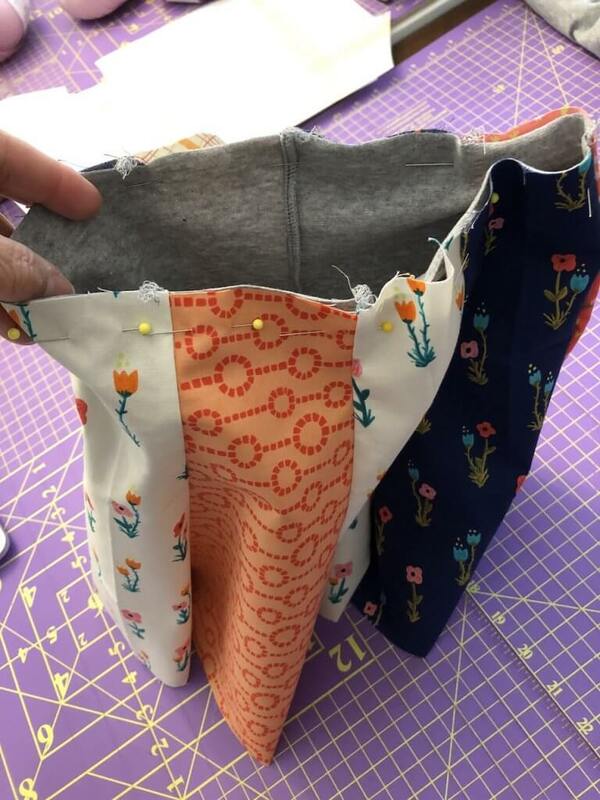 The legging shorts are pinned inside. Serge the top of the skirt to the top of the legging shorts. Once these are serged together, you can fold the casing down. This needs to be done on a perfectly flat surface. You need to make sure that the fold of the shorts is not shorter than the fold of the skirt. 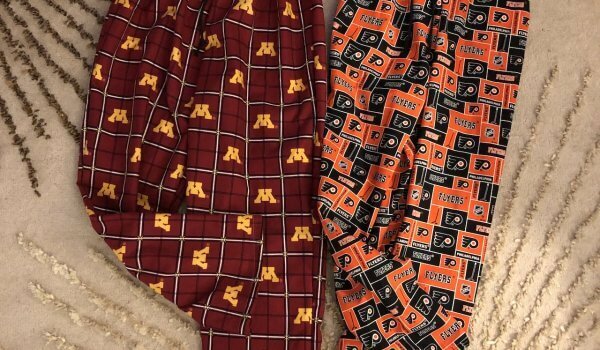 They need to be folded together. 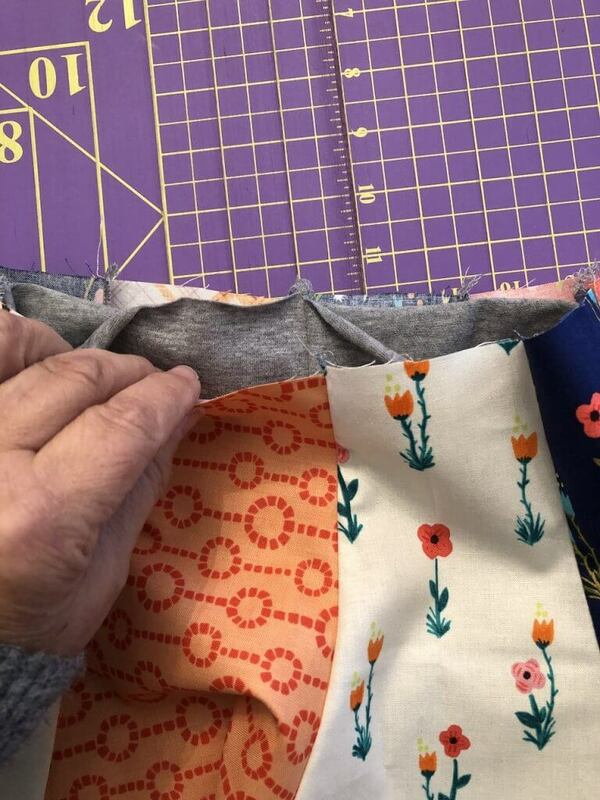 Then, you’re ready to sew your casing. 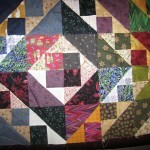 Remember leave about an inch and a half open for threading the elastic. 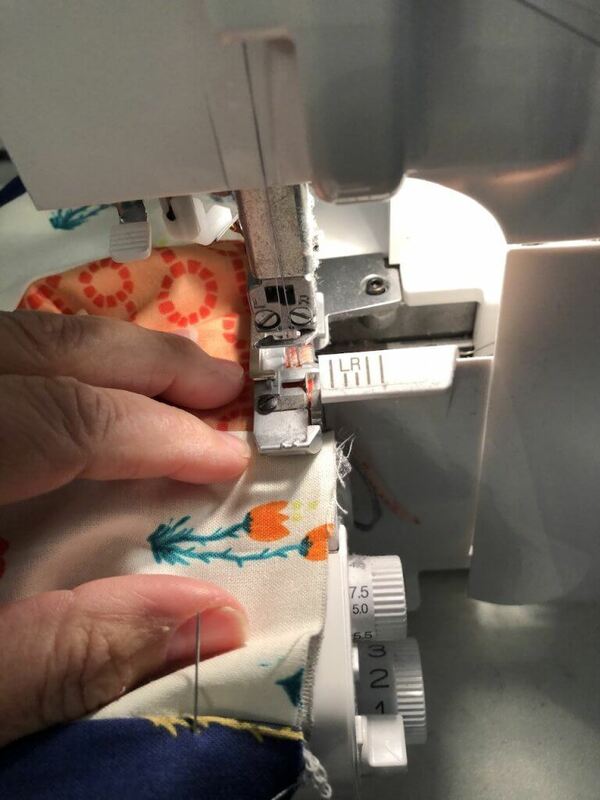 Once you’ve sewn your casing, don’t be too concerned if you have a few minor tucks. This will all be hidden as soon as you put the elastic in. 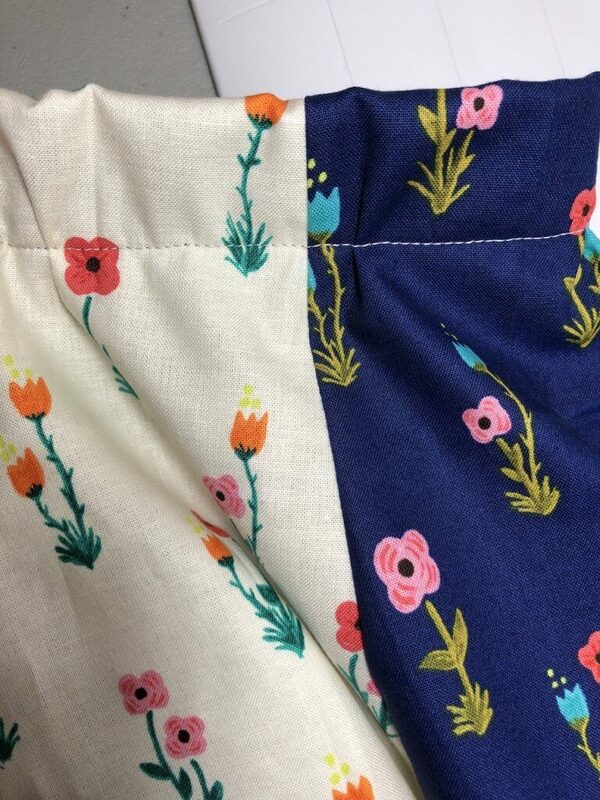 There are a few minor tucks in the skirt fabric. It’s hard to make it match perfectly when the shorts are slightly smaller than the skirt. 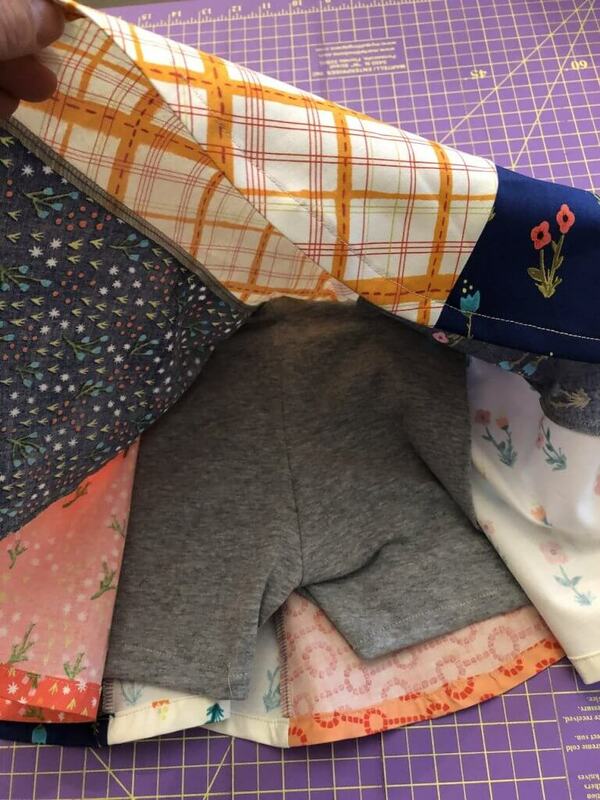 Then thread your elastic through, close up the opening and you will have yourself the cutest little skort set. Just so neat and tidy and cute!